Chronic stress is an important risk factor for morbidity and premature mortality at the individual and societal level. Our aim was to describe the process of adapting and testing the effectiveness of a structured stress management skills training program in a culture different from the one in which it was first developed. We translated an internationally used standardized behavioral intervention program into Hungarian and adapted it for use in a Hungarian cultural setting. We evaluated the changes in stress level and stress-related symptom scores among distressed voluntary participants on the basis of self-reported questionnaires completed before, immediately after, and 4 to 6 months after the 12-h intervention. The following measures were included: PSS-10, STAI-T, BDI-S, PHQ-15, and WBI-5. For statistical analyses, paired sample t test and Cohen’s d value for effect size were used. In a sample of 107 distressed individuals, after the training, stress level, psychological and somatic symptoms decreased and well-being increased (p < 0.0001). These positive changes were maintained at follow-up in a subsample of 42 persons tested 4–6 months later. 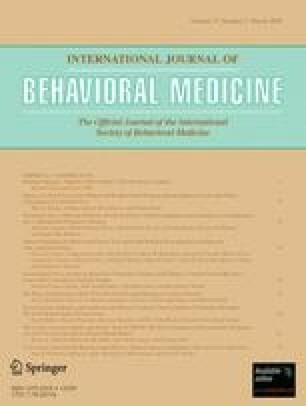 These results confirm the long-term positive effects of this standardized behavioral intervention in a different cultural context and in real-world settings, which encourages further dissemination of the program in various community settings. First of all, we thank Professor Maria S. Kopp who made it possible to get to know and adapt the Williams LifeSkills Program and continuously supports and encourages the work of our team. The authors also wish to thank all members of the LifeSkills workgroup who participated in the translation and adaptation process and/or the data collection, namely, András Beöthy-Molnár, Csilla Raduch, Anikó Hazag, Gabriella Seres, Kata Ress, Noémi Somorjai, Csilla Csoboth, Cecilia Bánki, Zoltán Cserháti, Edit Fenyák, Klára László, Noémi Tari-Keresztes, Tamás Martos, Magdolna Rohánszky, Gyöngyvér Salavecz, Melinda Sverteczki, Flóra Sztanó, and Krisztina Tóth. This study was supported by the Hungarian National Research Fund (OTKA) projects TS-40889 (2002) and TS-049785 (2004), Scientific School Grants and NKFP 1/002/2001 and NKFP 1b/020/2004, ETT 100/2006 and OTKA K73754 grants. Dr. Redford Williams and Dr. Virginia Williams are founders and majority stock holders in Williams LifeSkills, INC.